Kuks is a small village situated in East Bohemia. In 1684, Count František Antonín Sporck became the owner of all local estates, including Kuks. 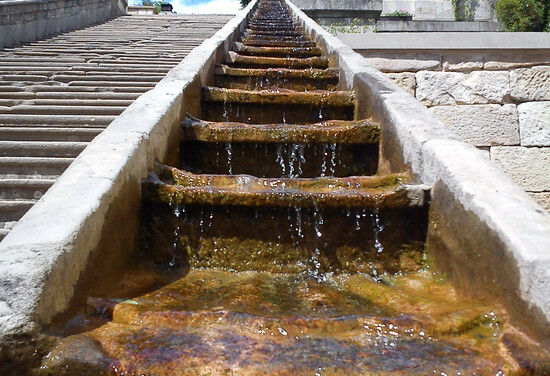 At that time, Kuks was known only for its springs, which were believed by local people to have medicinal properties. Sporck set a very ambitious goal – to change Kuks into a world-renowned spa. Thanks to his immense wealth, the construction could start immediately. The spa was really magnificent and famous, even more so than Carlsbad. What is of importance to us, however, is what was built on the opposite side of the Elbe river. Count Sporck constructed a hospital for army veterans. The Spanish Order of Brothers Hospitallers was invited to take care of old and injured soldiers from 1743 to 1938. During the Second World War, the hospital was turned into a reform school for misbehaving youngsters. From the end of the war to 1972, it served as a retirement house for the elderly. Since 1946, the hospital building has been used as a museum of baroque art and Czech pharmacy. 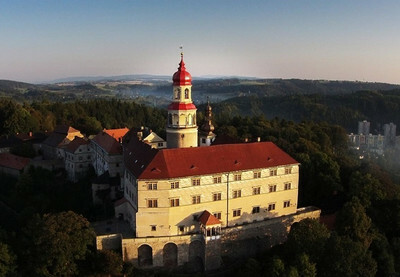 Currently owned by the state, the hospital was declared the National Monument of the Czech Republic in 1995. In the last five years (2010-2015), the whole baroque hospital complex was being renovated. It was necessary to fix the roofs, facades and underground utilities and to perform a lot of other refurbishments. For example, the herbal garden behind the hospital was renovated, the original interiors were reconstructed, and modern rooms were designed for organizing culture and educational events. Indeed, the hospital is currently a historic monument, but it also serves as a modern regional educational centre. The building offers classrooms which can be used as an arts studio, for example, or perhaps a theatre hall. The renovation of the whole complex cost more than 450 million Czech crowns, the bigger part of which was funded by the European Union. In spring 2015, specifically on March 24th, the monument will reopen for tourists after the winter break. The guided tours offer to see: the Holy Trinity Church, the renovated cycle of wall paintings named The Dance of Death, the original allegories of the Virtues and Vices sculpted by the significant artist Mattias Bernard Braun, the original baroque pharmacy from the 18th century, the Sporcks’ family crypt under the church and many more interesting rooms, paintings and sculptures.